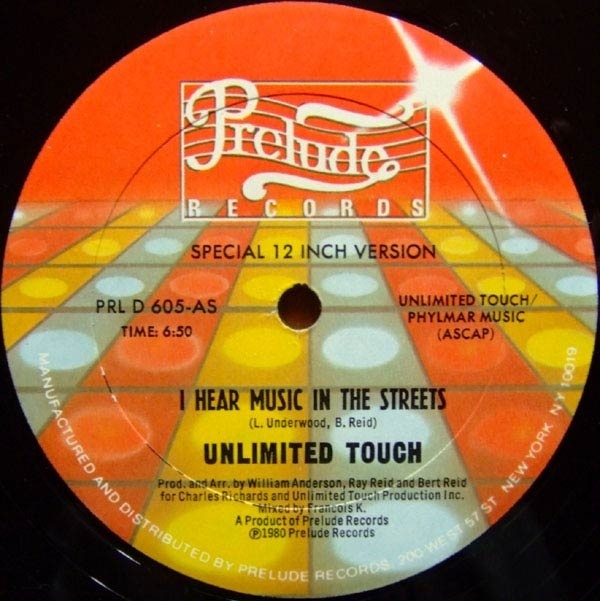 So why did I choose Unlimited Touch’s marginal 1980 R&B I Hear Music In The Streets as my tune of the day? Well for one thing I’ve never heard it before and, despite being released in 1980, it sounds like a modern day house tune. Which could have a lot do with the legendary Francois K doing the original mix down. Secondly, my son was HAVING IT in the back seat! When a toddler starts waving his arms around and bouncing in his car seat, you know a tune is going big. Watching him experience that unadulterated joy when he hears a song for the first time makes that song an easy pick for my tune of the day. Your boy has good taste. This track is the jam. I’ve got the LP but don’t have the 12″ yet.